A big question for most crocheters is how to organize your crochet pattern storage. If you’re like me and you’d prefer to keep your patterns neat and easily accessible, these tips are perfect for you. In this list, you’ll find ideas for keeping your patterns organized in paper and digital format so that you can find a solution no matter what your preference is. Not only that, we’ll throw in loads of tips for storing and keeping free patterns that you can’t download and print from a website. If you’ve ever had to keep your laptop nearby while crocheting or having to read a pattern off your phone, you’ll know the pain of having your screen go blank when you’ve been focusing on your stitches for a while. It drives me insane when I just want to quickly check a pattern and I have to log into my phone or laptop again because it has gone to sleep. 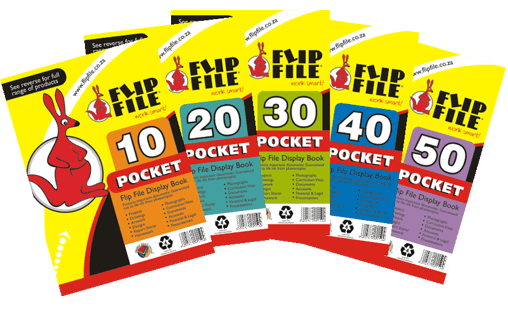 One of the oldest ways to organize your crochet pattern storage and combat this is to print your patterns and organize them in a flip file or binder. Personally, I’ve got three of these 50-pocket flip files full of patterns at home and I love them for a few reasons. They make it easy for family members or friends to see what you can make. I often let people browse through them to get ideas on what I can make them for a birthday, Christmas or other special occasions. You can organize them by topic. I’ve got one file for general crochet patterns (hats, scarves, dishcloths, etc.) and two files for amigurumi patterns – I started with one and filled it up quite quickly. They are super easy to use, they never run out of power and you don’t have to worry about spilling coffee on them. They can be quite expensive to keep up to date. Apart from the initial costs for the files, you have to physically print every pattern you want, and for many of us, there are hundreds and thousands of patterns on our “want to make” lists. This means that the binders often fill up quickly and you have to buy more. It’s not easy to take them with you when you want to crochet in the car, at work or on holiday. Unless you’re working on a specific pattern for a long time, you won’t want to cart the whole binder with you wherever you go. Most free patterns are not printer-friendly. They are very easy to read from a screen, but as soon as you try to print them, you’ll see that they need 10 pages with loads of white space in order to print. It’s also not always easy to get the images to display correctly on the page. They can take up quite a bit of space at home. Binders are bulky and they need to be stored safely. That being said, if you prefer to go this route, there are tools that you can use to help you create printer-friendly patterns from the free patterns you find online. You will need to do a bit of formatting, such as making the fonts smaller and removing some pictures if you want to decrease the amount of pages used. To do this, I use Evernote, a free notebook program that’s available on your laptop, phone and other devices. I’ve been using Evernote for more than five years for all my notes from recipes to tax information to important documents that you can’t afford to lose. There are three price plans available to suit your budget and requirements – basic, premium and business. The basic plan is free to use forever. Once you have an Evernote account, you can add a web clipper to your browser to grab patterns directly from a website. You will be prompted to specify the notebook where it should be stored and any tags that you want to add to the note to make it easy to find. As soon as you’ve clipped the pattern into Evernote with the web clipper, it will show up in your Evernote program on your laptop and other devices within about five minutes. If you want it to happen sooner, you can press the SYNC button on Evernote. Within Evernote, you can organize your patterns by subject in different notebooks and create notebook stacks for all patterns to keep them together. You can also pin certain patterns to your SHORTCUTS menu to allow you to access them quickly. These are the latest patterns I added to my CROCHET PATTERNS notebook on Evernote. This method works for both print and digital patterns. Because Evernote syncs with all your devices, you can add the app (available for Android and iOS) to your phone or tablet to view your patterns quickly and easily. When I ran out of time and patience to format a pattern to make it ready to print, I opted to buy an affordable Samsung tablet that I use almost exclusively for patterns, other crochet tasks, and reading. It doesn’t need to be an expensive tablet with all the bells and whistles, you can make do with an entry-level tablet. 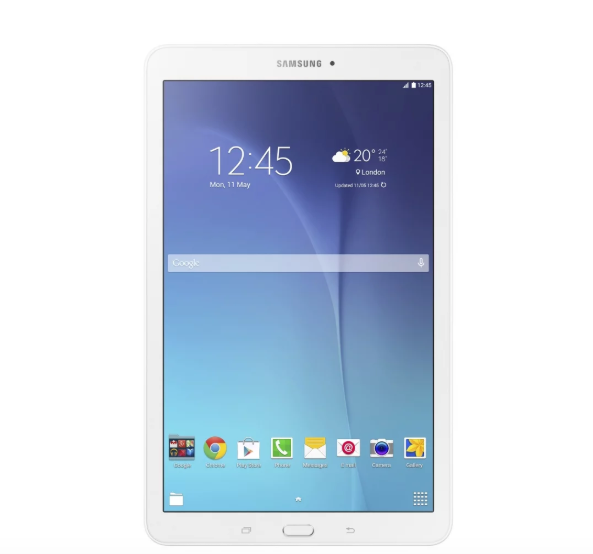 This 9.6″ Samsung tablet is affordable and stylish, and it does exactly what you need it to do. It has 1.5GB RAM so it’s not slow and it has 8GB internal storage. You can boost your storage by buying a Micro SD up to 128GB. The tablet also has Wi-Fi and 3G connectivity, so you can use it to browse the web for patterns, log into Ravelry, Craftsy and Etsy, or just scroll through beautiful projects on Facebook. You can also load the Evernote app onto the tablet to allow you to view the free patterns you’ve clipped into Evernote while you’re working. To avoid the screen timeout after 5 minutes (which is the default setting), you can set the screen timeout to 30 minutes or more. This allows you to have the screen on almost constantly while you’re crocheting, but just remember to charge the tablet regularly to avoid it running out of power in the middle of a project. You can keep it plugged into the charger while you’re working. You can use both formats – a binder AND a tablet – to keep for your crochet pattern storage. If you paid a lot for a pattern and want to print it, or you find a great pattern in a magazine, you can add it to your binder. Magazine patterns can also be stored digitally by taking a photo of it and adding it to Evernote immediately. 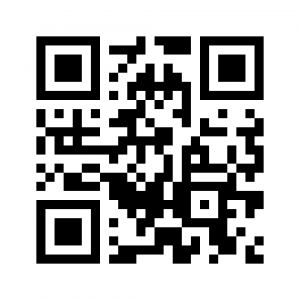 You can also protect your prized patterns by scanning them with a free app called Scannable and save them directly into Evernote where they will be preserved forever. If you label it correctly and add it to the right notebook, you will always be able to find a pattern when you need it. 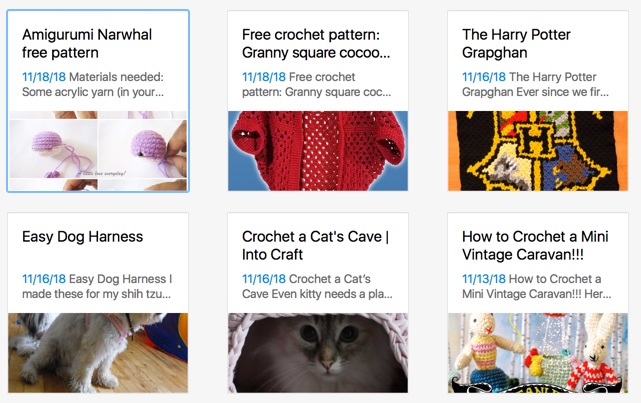 Evernote has a great search feature that allows you to search for terms inside a note, so if you’re looking for a pattern that uses DK or aran yarn, you can run a search for those terms on Evernote and it should give you all the patterns that specify that they use those yarns. Neat, eh? Most of us have more patterns than we’ll ever need, but it doesn’t have to become a cumbersome task to find the right pattern for your next project. Use one or both of these methods to keep your patterns stored neatly and safely forever. Which method do you prefer? 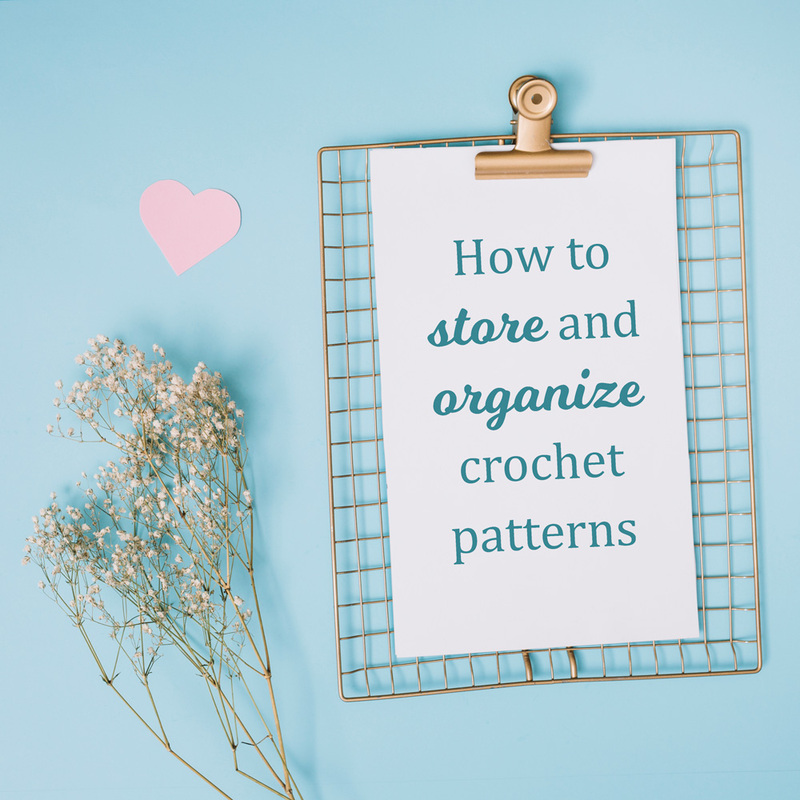 Please leave a comment below to share your tips and tricks for organizing crochet patterns. Love all your ideas. Will be getting a new tablet and also the Evernote app.